The Seychelles, an Indian Ocean island nation, plans to develop a "blue economy" based on sustainable use of ocean resources, but not everyone is on board. Local fishermen say new restrictions could destroy their traditional industry, which employs 17% of the country's population. Seychelles' 115 islands add up to just 455 sq km of land but its exclusive economic zone stretches to 1.4 million sq km of ocean. In February last year, the country designated a third of its waters as protected areas, aiming to ensure the longevity of its unique biodiversity. The government signed a bill restricting nearly all human activity in the waters around Aldabra, a Unesco World Heritage site, and setting aside more than 210,000 sq km as protected areas where fishing is now banned. Small-scale fishermen on the largest Seychelles island of Mahe say further quotas will be disastrous for their already-struggling industry. Malic Marguerite, 28, works out of Victoria fishing port, heading out in search of catches such as snapper or grouper, sometimes for ten to twelve days at a time. "When I first started fishing, we usually came to port with 1,000kg of fish ... But nowadays, [it's] very difficult to get 1,000kg," said Marguerite. 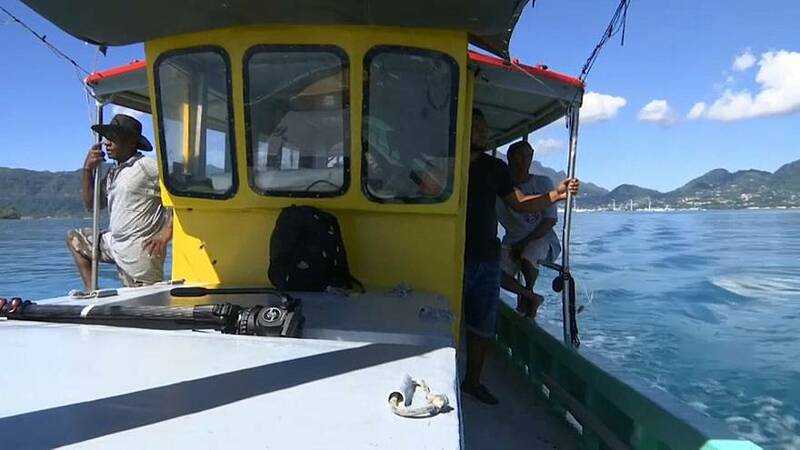 Keith Andre, chairman of the Fishermen and Boat Owners' Association (FBOA), an NGO which represents Seychelles fishermen, echoed his concerns. "I fear this will be a dying industry in Seychelles," he said. "If the trend continues, we're no longer attracting youths, we're no longer attracting professionals, so I feel we are being condemned to make way for fish farmers, to make way for fish ponds, to make way for aquaculture." The treasurer of the FBOA, Beatty Hoaru, added that the voices of fishermen are not being heard. "Whenever we talk about the blue economy, we see everything on TV, we see all these personalities, presidents, ex-presidents, actresses, actors, you name it. All of them are on TV. But nobody, none of these people have even come and asked us fishermen, what do you think ?" Marine resources are critical to the Seychelles' economic growth. According to the World Bank, after tourism, the fisheries sector is the country's most important industry, contributing significantly to its annual GDP with fish products making up around 95% of the total value of domestic exports. In 2013, the Commonwealth's 53 member countries, including the Seychelles, signed the Blue Charter, an agreement to solve ocean-related problems and meet commitments for sustainable ocean development. According to the Commonwealth, the worldwide ocean economy is valued at about $1.5 trillion USD annually, making it the seventh largest economy in the world. That's expected to double by 2030 to $3 trillion USD. "We want that blue economy to give us sustainable oceans, which will benefit us, but also benefit our world.'"